Grave : Plot I. Row A. Grave 15. 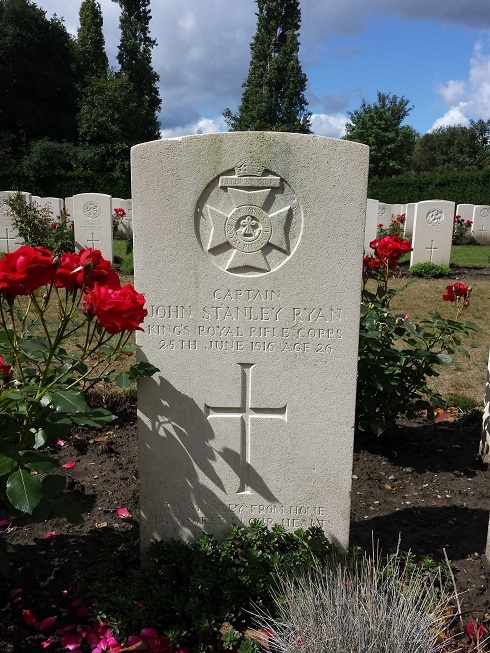 John Stanley Ryan was a son of Thomas and Margaret Ann Ryan, of 76, Westbourne Park Villas, Paddington, London. He was educated at Merchant Taylors' School and worked as a Chartered Accountant before joining the Army.